The opponent's pokemon now has all the special conditions applied. When the special conditions are applied from Wrath of the Near-legendary, leveling will not take them off. 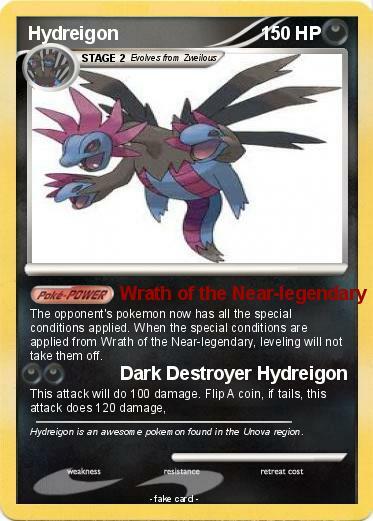 Comments : Hydreigon is an awesome pokemon found in the Unova region.